Luxury vinyl plank (LVP) or luxury vinyl tile (LVT) is increasing in popularity with today’s busy homeowner because of its strong realism to hardwood or stone, enhanced durability and easy maintenance. 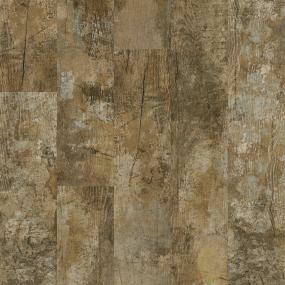 It’s a flooring option many homeowners consider for high traffic areas such as entryways, living rooms and kitchens. Resista Plus H2O is ProSource’s exclusive brand that provides all the outstanding features and benefits of LVP/LVT with a superior waterproof protection that makes it perfect for high moisture rooms such as bathrooms, kitchens and basements. Yes, waterproof -- not just water resistant. Resista Plus H2O is made with one of the thickest cores of any luxury vinyl plank/luxury vinyl tile, which means that it’s more stable, and offers level transitions to most other flooring in your home, whether you have tile or hardwood. This breakthrough proprietary hi-tech rigid core technology goes right over many existing floors and won’t ever reveal what you had to cover up. It has a “click” profile, meaning it doesn’t require glues or chemicals for installation– so you will be living on your floor right after installation! And because of its thicker core and waterproof joint, Resista Plus H2O is perfect for three season rooms. It’s also available with a cork backing, which acts as a sound barrier, making it one of the most comfortable and quietest LVP/LVT products on the market. Resista Plus H2O comes in rich wood grains and realistic stone finishes, reflecting the authentic textures found in nature. So whether your design preference is a laid back weathered wood grain, a sophisticated stone finish or a trendy reclaimed wood look, Resista Plus H2O’s wide selection of patterns and colors means you’ll find exactly what you envision for every room in your house, including those rooms prone to high moisture. So go ahead and design the perfect laundry room space, three-season room, bathroom or basement recreation room – without worry of water issues. Resista Plus H2O has it covered! Stop by your local ProSource Wholesale® showroom to view samples of Resista Plus H2O today and see all the benefits of installing this exclusive label brand in your home.